Finally a court that is going to default to an EQUAL Standard Parenting Order when the parents cannot agree! And NO primary residential parent! Each parent is primary during the time they have possession of the child. The courts have agreed to equal for 3-13 year olds. How will this plan work if the parents live far away? 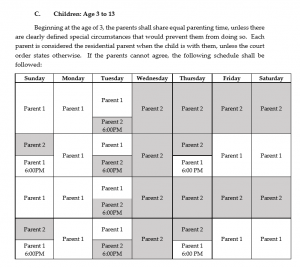 The equal parenting only applies to parents who live close by according to the Ohio Supreme Court guide on page 57. 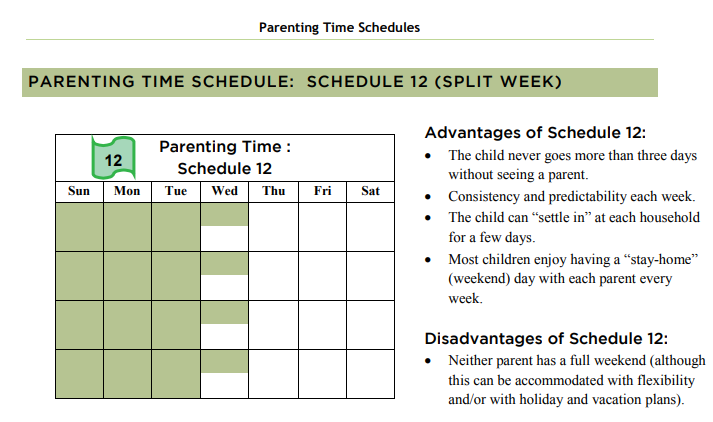 The guide still shows a preference for maximum time with each parent where it states, ” Regardless of the distance, a child will benefit from as much regular and frequent physical contact with each parent as possible.” Tuscarawas County court does not specify what happens but does say that it will consider special circumstances. 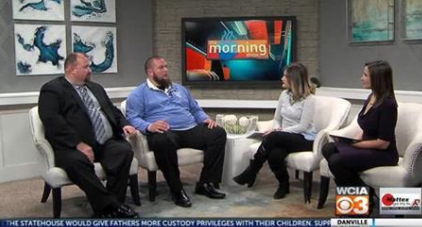 Distance between the parents is not specifically discussed in the Tuscarawas County Standard Parenting Order and Rules Governing Companionship Time. The way that we would handle it is the same way we handle all potential infringements of constitutional fundamental rights. The child has a legal right to equal time, influence, and development with each parents. The court must apply the proper safeguards for fundamental rights before it allows a move away, if the parents cannot come to agreement. If you don’t know what those safeguards are, you can get that information in our member site. How Did Ohio Get Equal Parenting Passed? Legislators passed an initiative and formed a subcommittee called “the Family Law Reform Implementation” Subcommittee of the Advisory Committee on Children, Families, and the Courts”. This subcommittee was established under the Advisory Committee on Children, Families, and the Courts. And then they had several judges, a magistrate, a lawyer, and a professor assist in its drafting. And they borrowed materials from the Administrative Office of the Courts of the Arizona Supreme Court. This is a great achievement for Ohio. Parents wanting changes to their parenting laws in their state should provide this to their legislators. Showing them that judges, lawyers, and a legislative committee all worked together and agreed that this was best for children should help you persuade your legislators to do the same. Tuscarawas Ohio County Court Standard Parenting Schedule and Rules updated 1-24-18. PreviousHow do I Enforce my Child Custody Order Criminally?